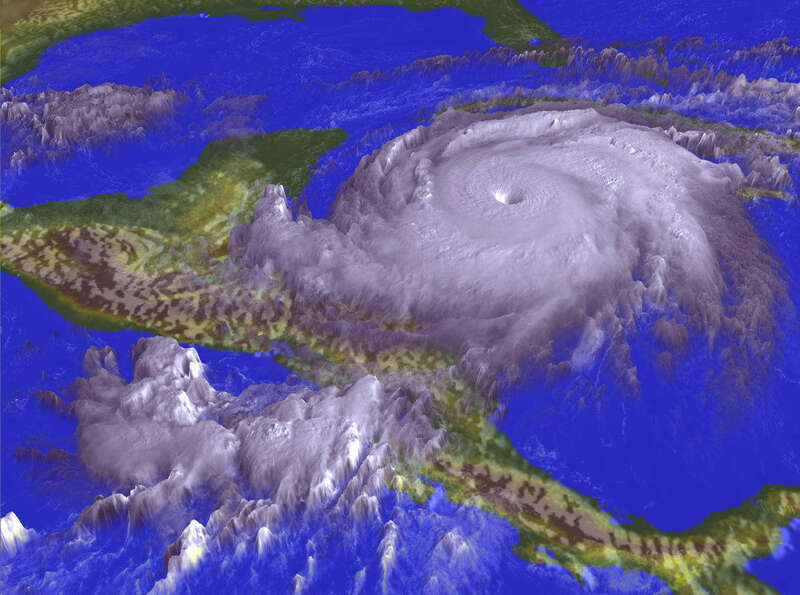 The announcements and forecast is out for the hurricane season 2000. There are forecasted 11 tropical storms and seven of these will be hurricanes. It is possible that 3 of the seven hurricanes are expected to be equivalent to the huge hurricane of last year, that stopped just 45 miles off the Belize coast. The hurricane that stopped just short of hitting Belize last year ( see photo ) was a Category 5 hurricane and more of a 300 mile diameter TORNADO, than any normal hurricane, unlike the one the year before that sideswiped Belize. 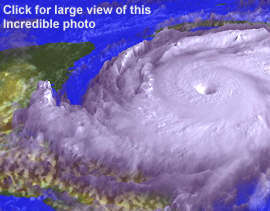 It was estimated to be 64 times more powerful than the hurricane of the year before. Hurricane destructive force goes up exponentially with numbers. Probably equivalent to about 3 or 4 thermonucleur bombs in destructive power. Hurricane severity comes in cycles. This current cycle is a 25 year period of high hurricane intensity and we are currently about 5 years along in this cycle.